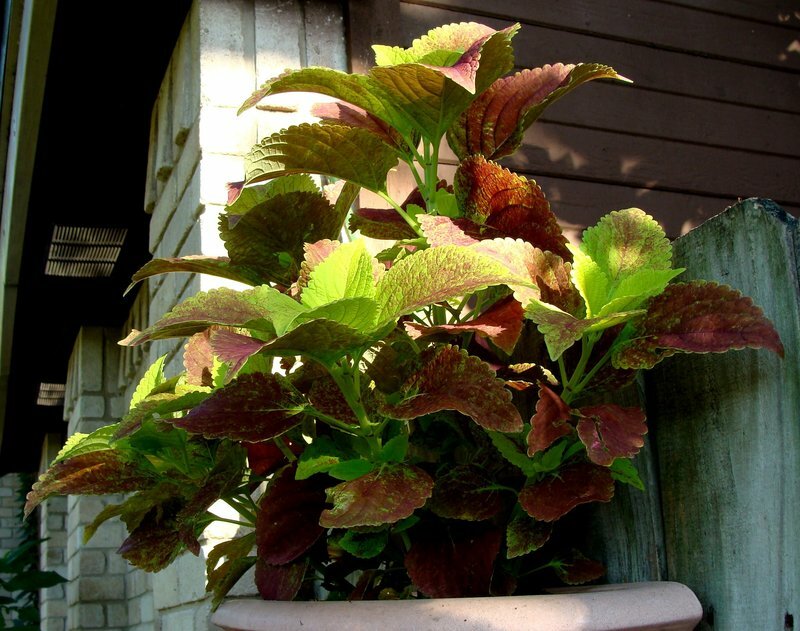 I potted this with other coleus, but Alabama Sunset clearly took over. 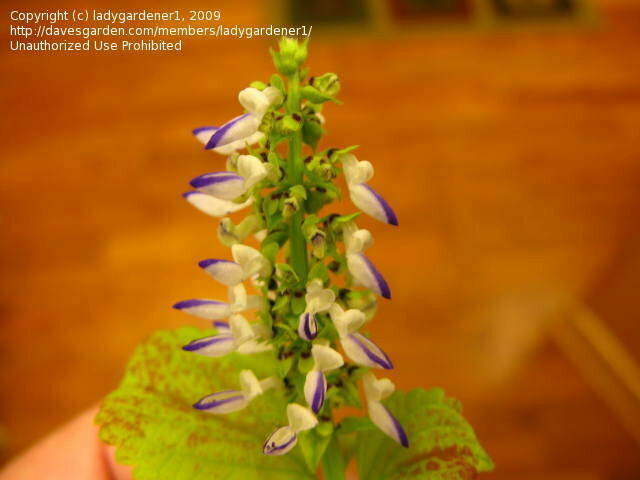 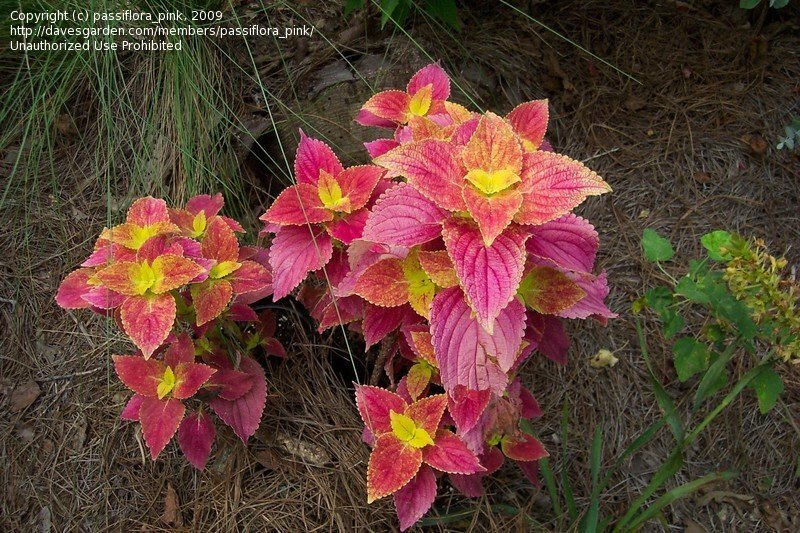 This plant is from a cutting. 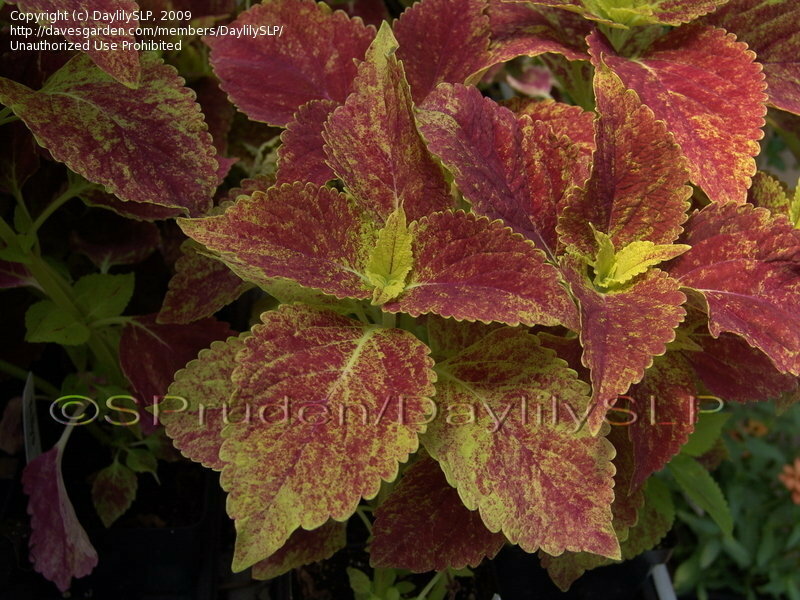 Rapid grower for me. 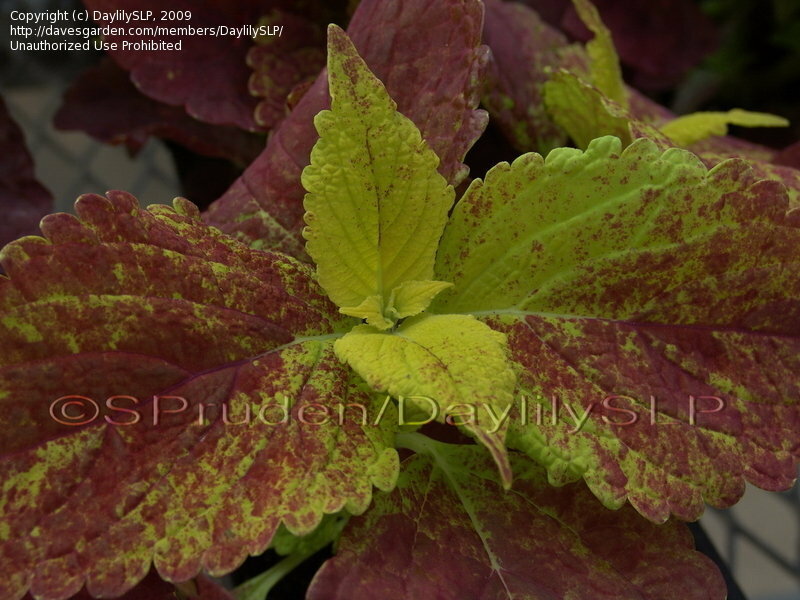 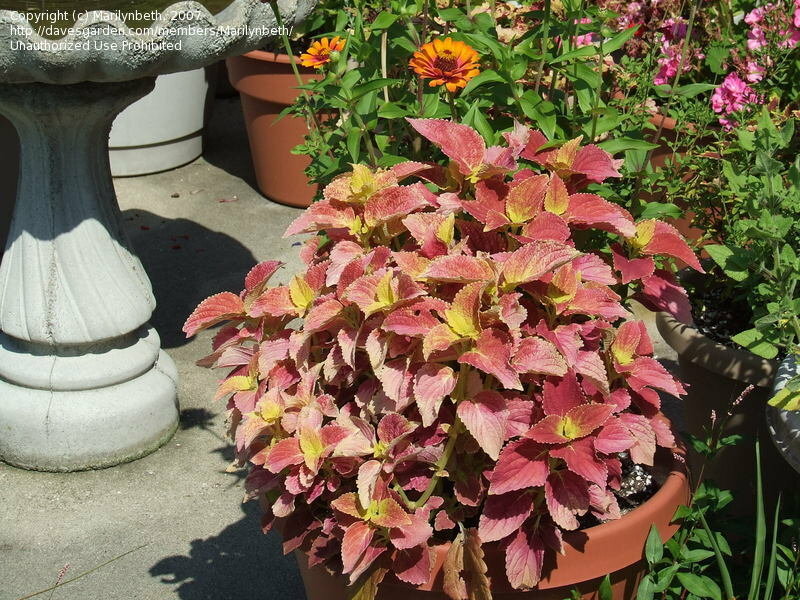 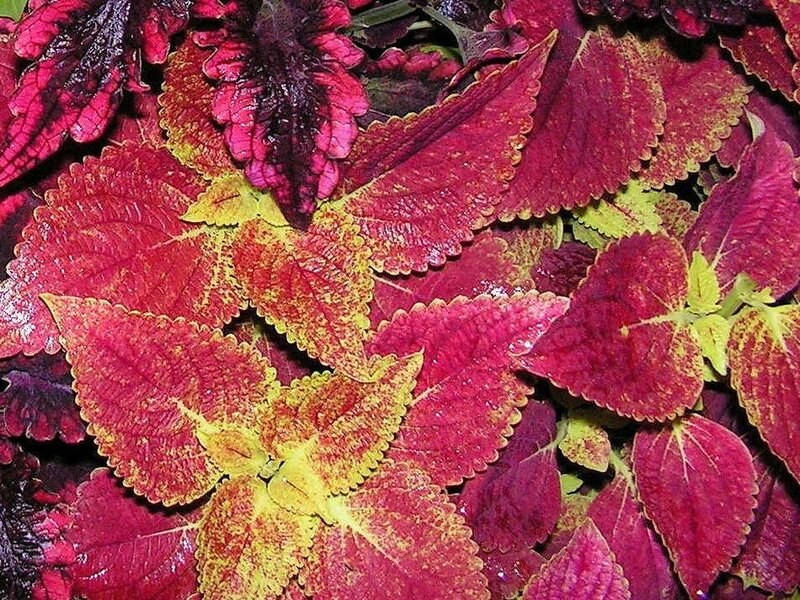 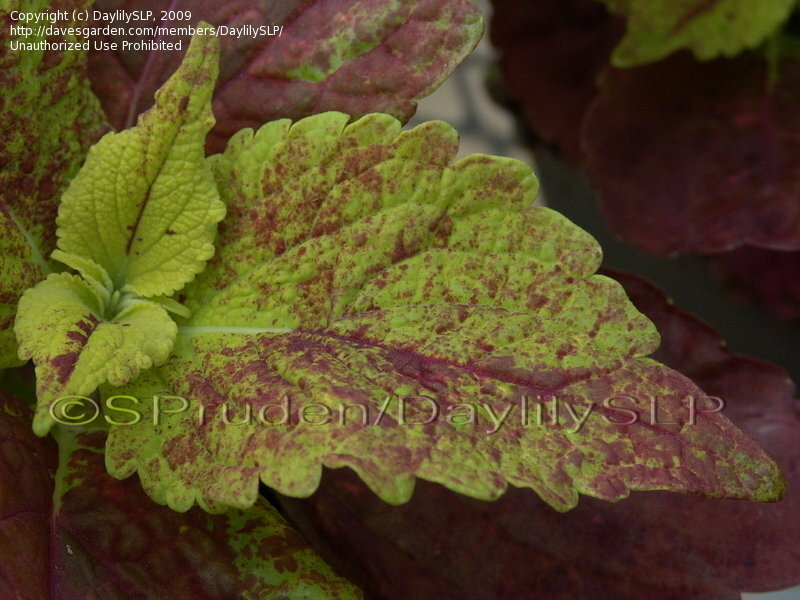 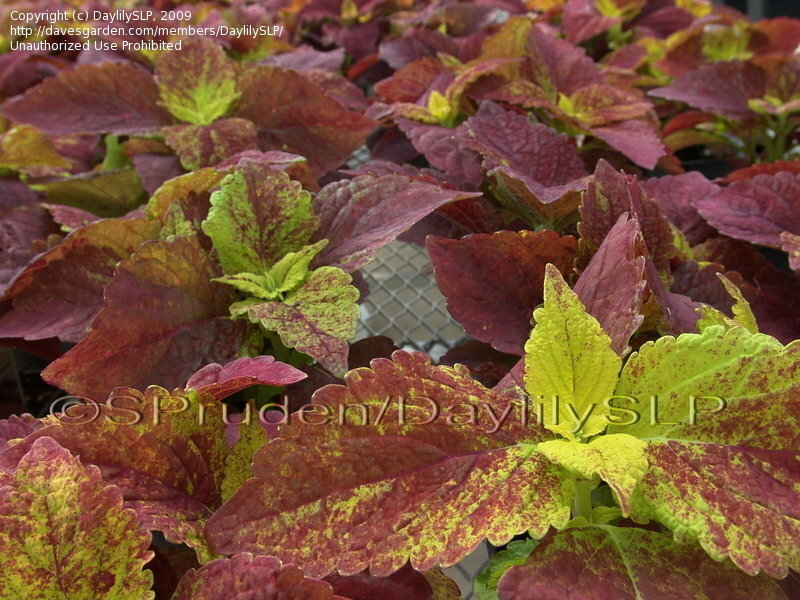 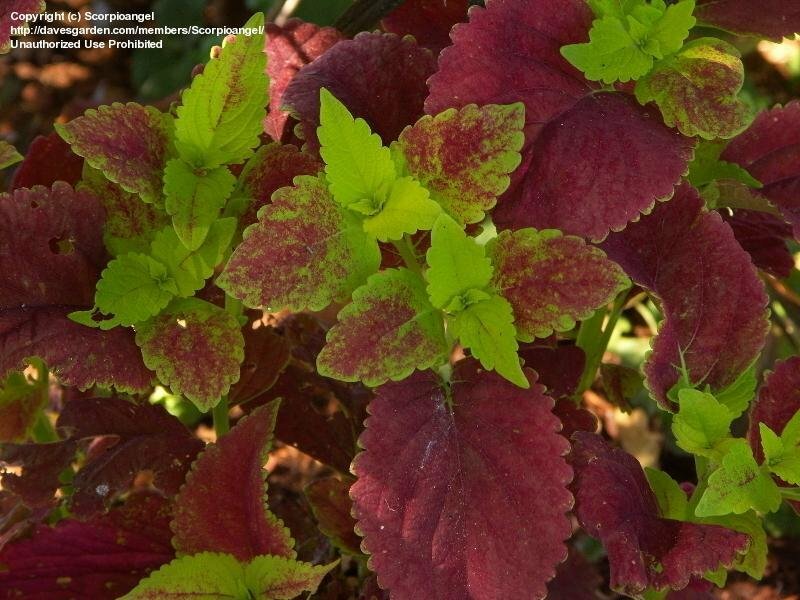 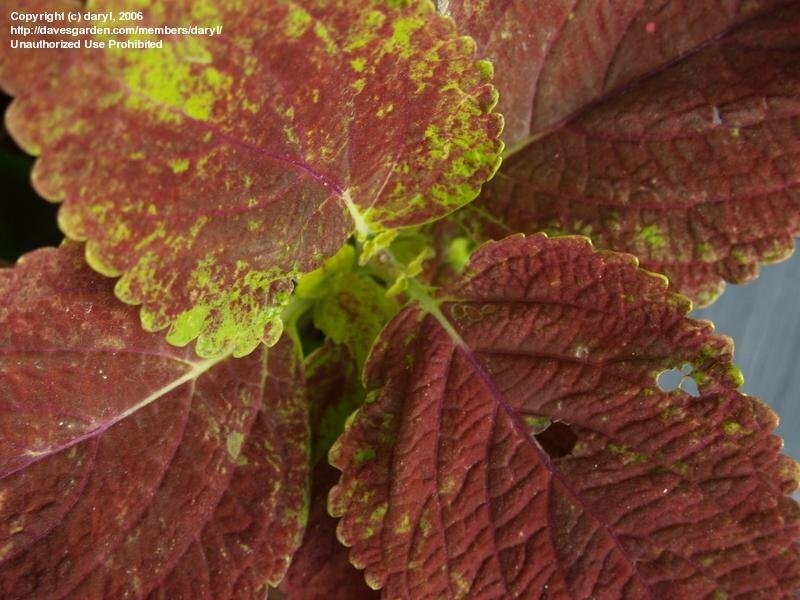 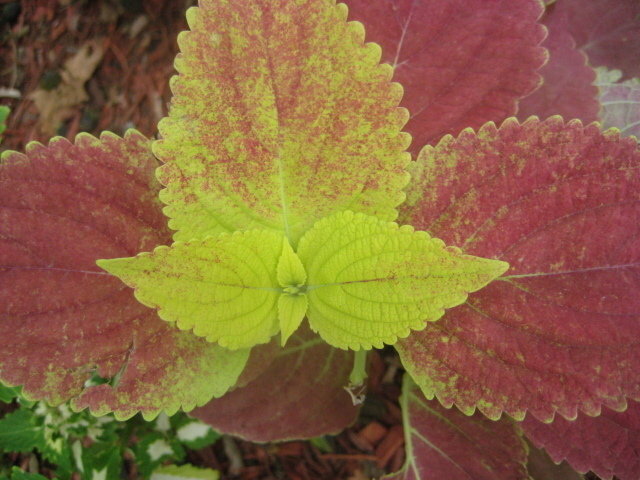 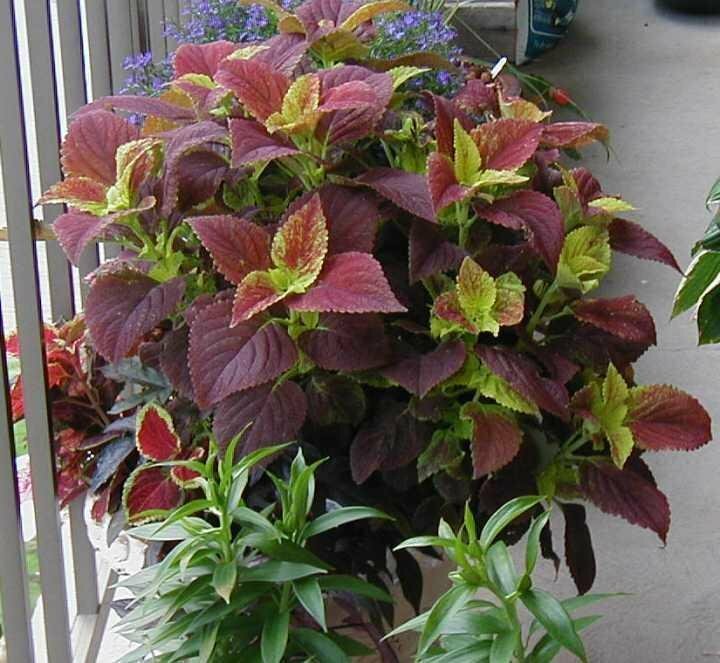 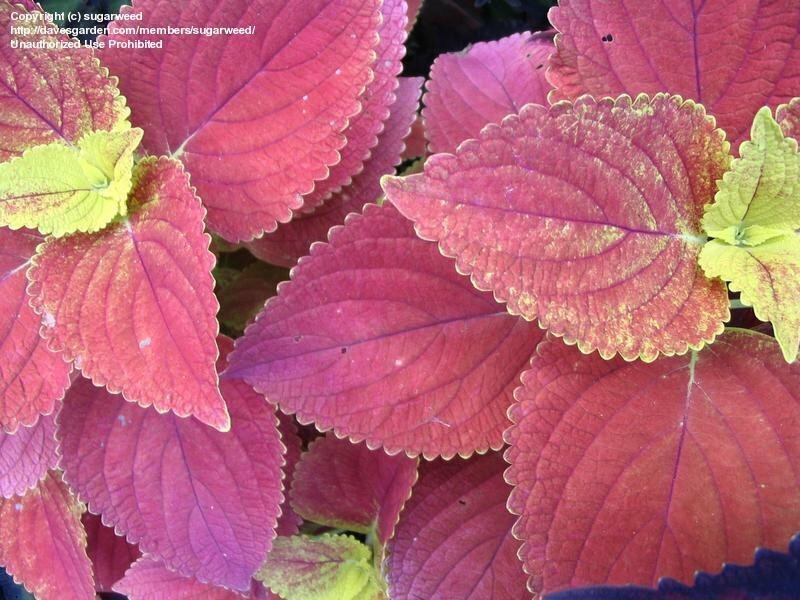 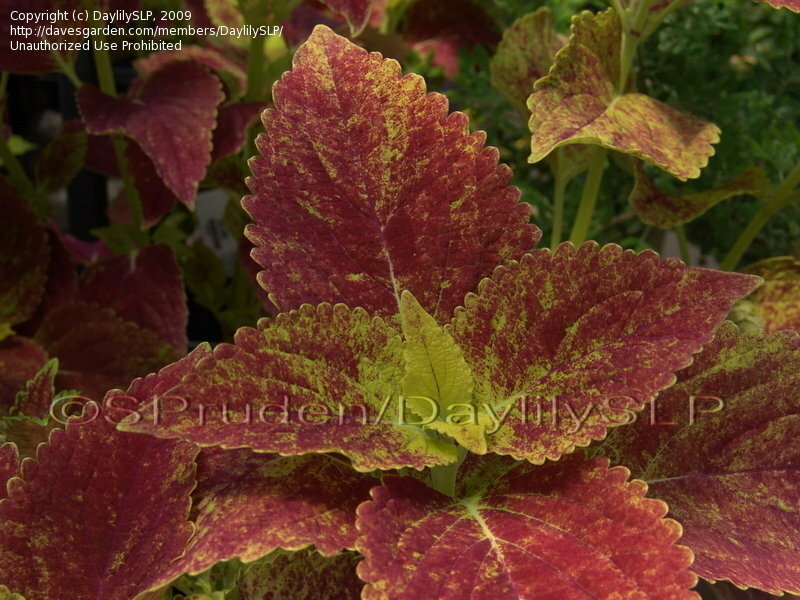 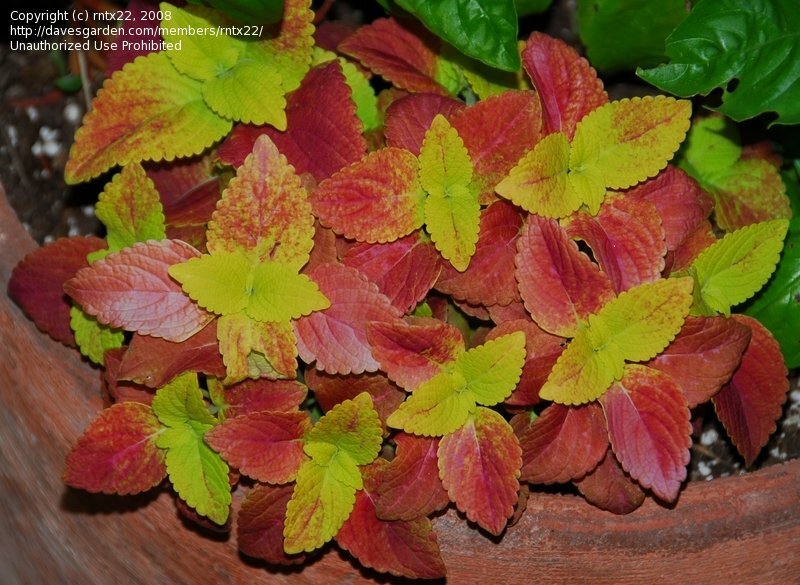 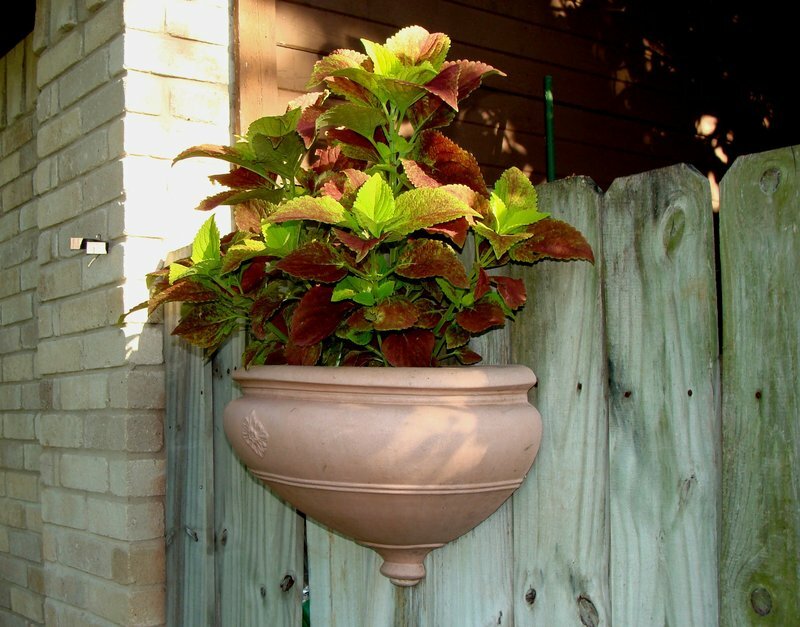 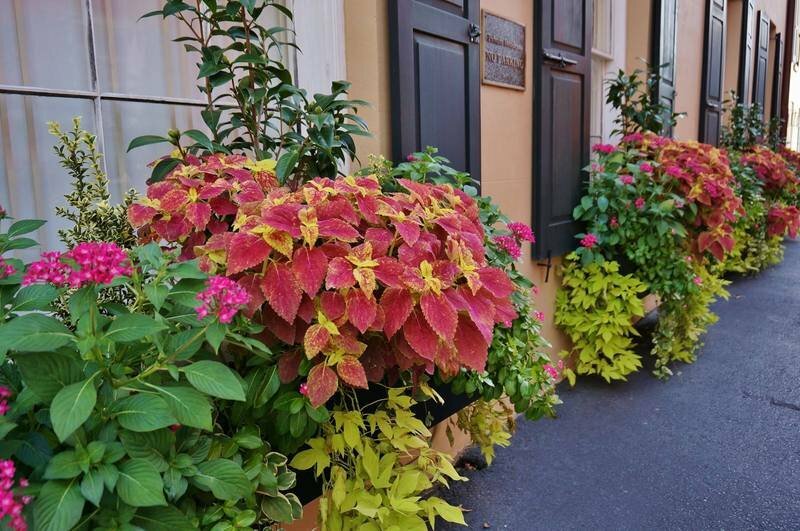 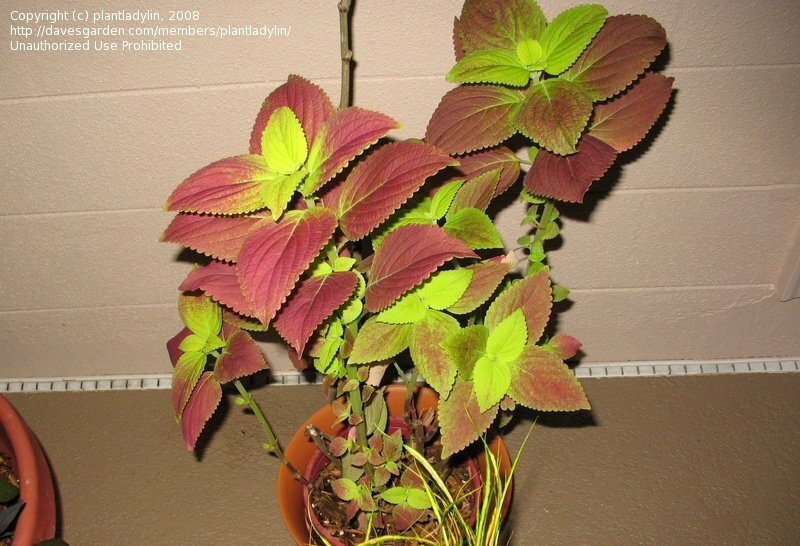 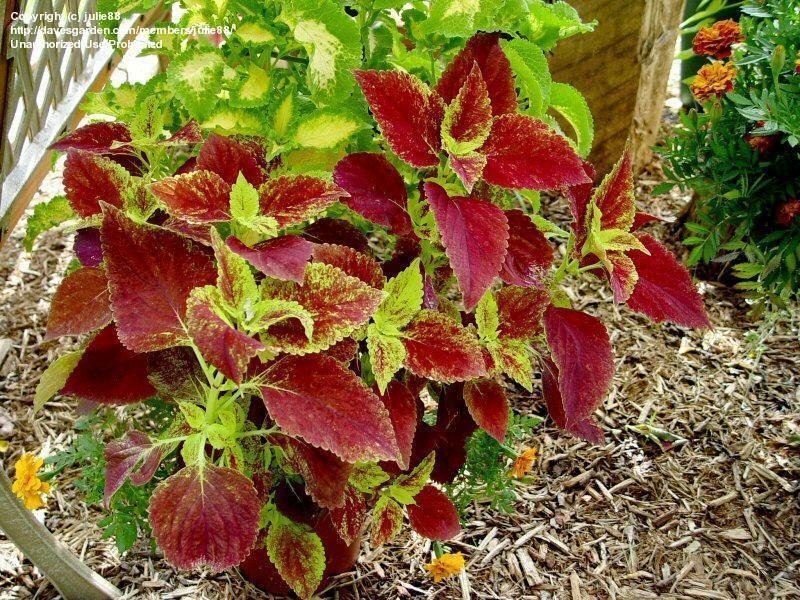 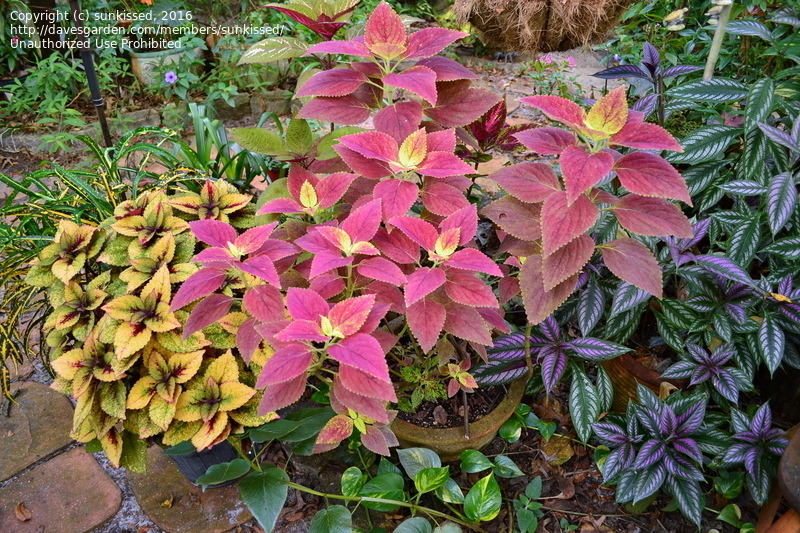 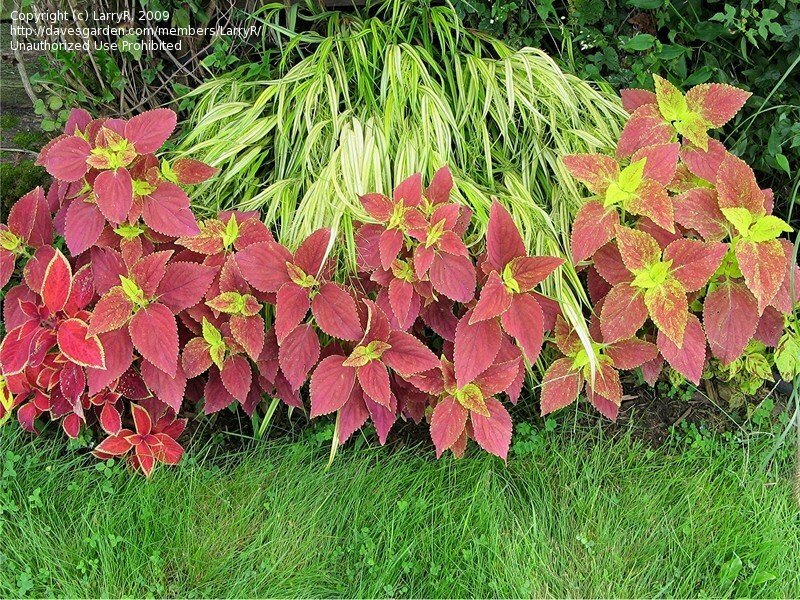 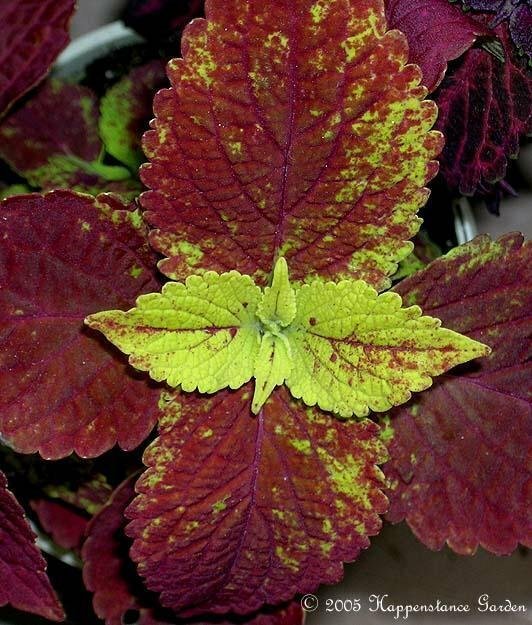 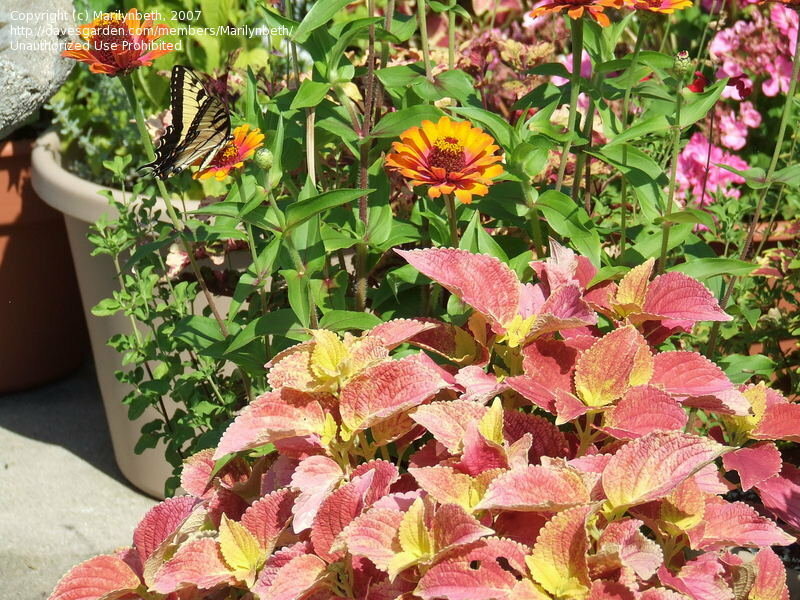 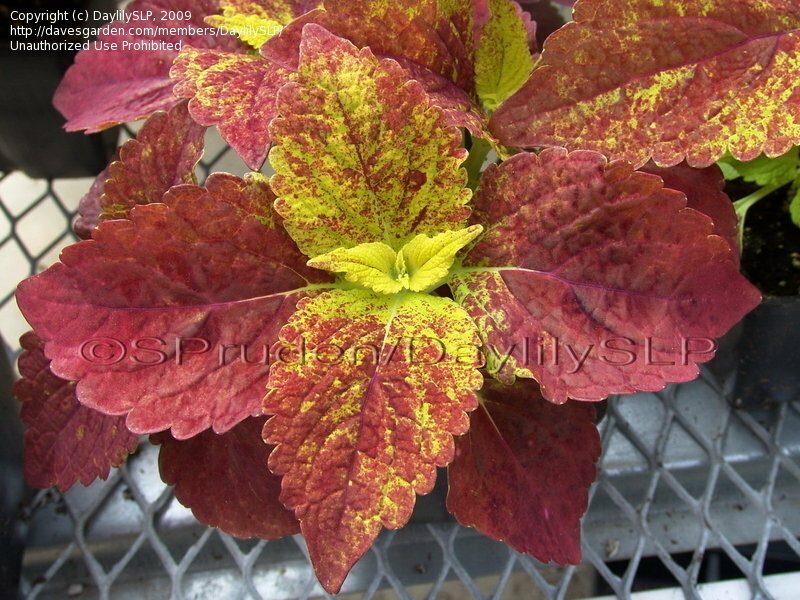 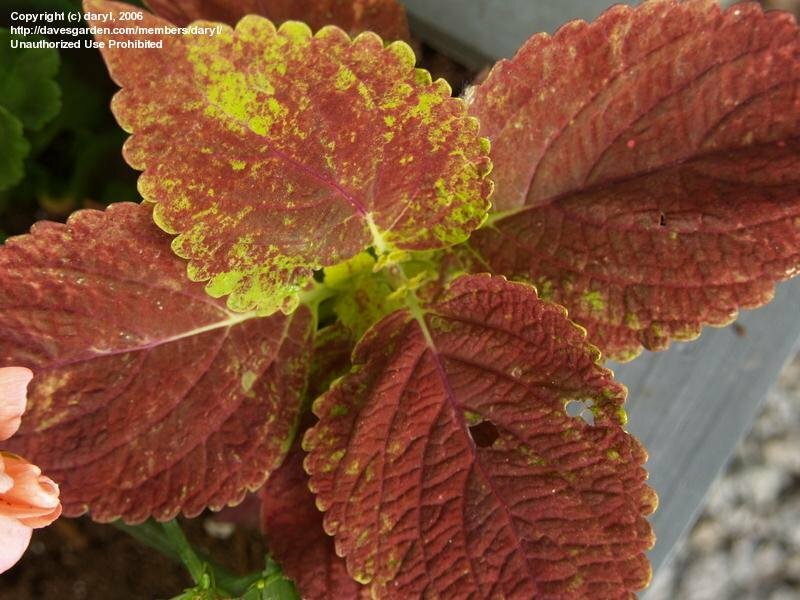 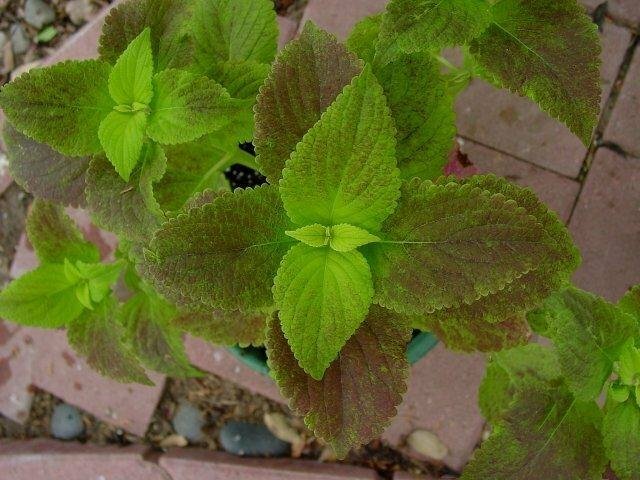 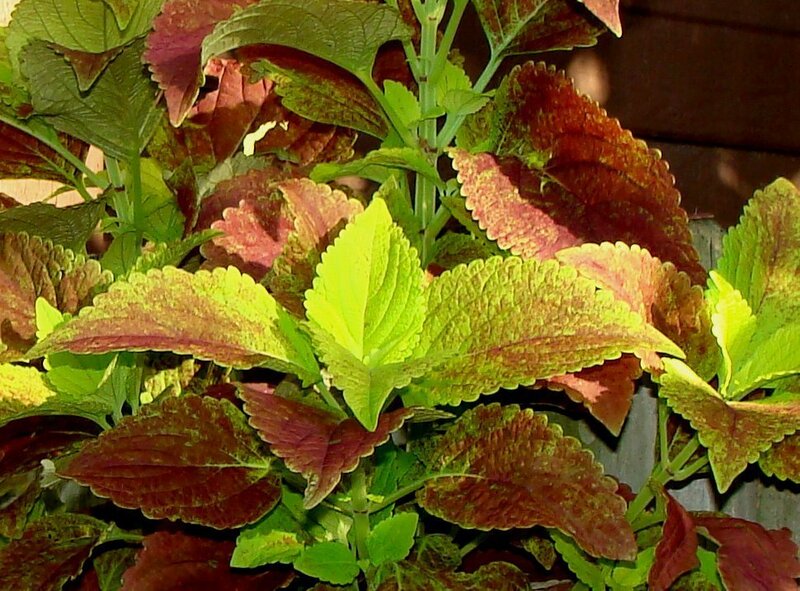 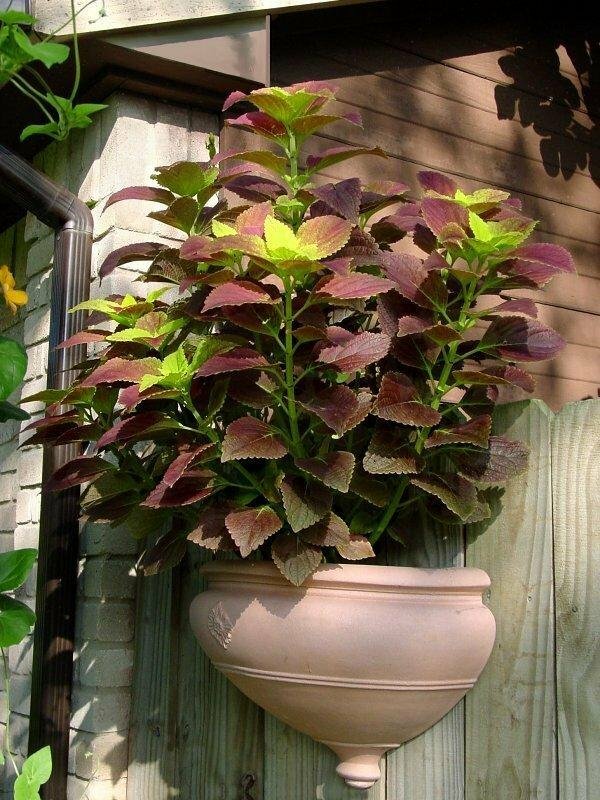 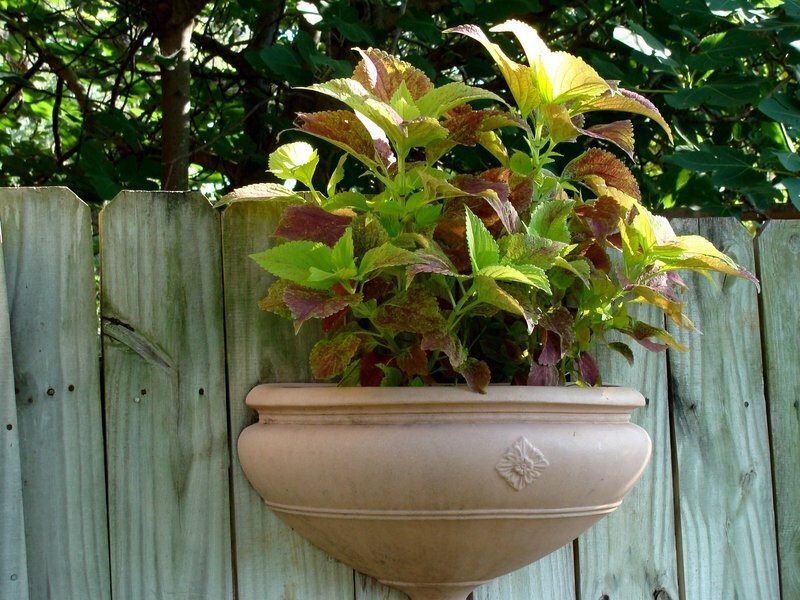 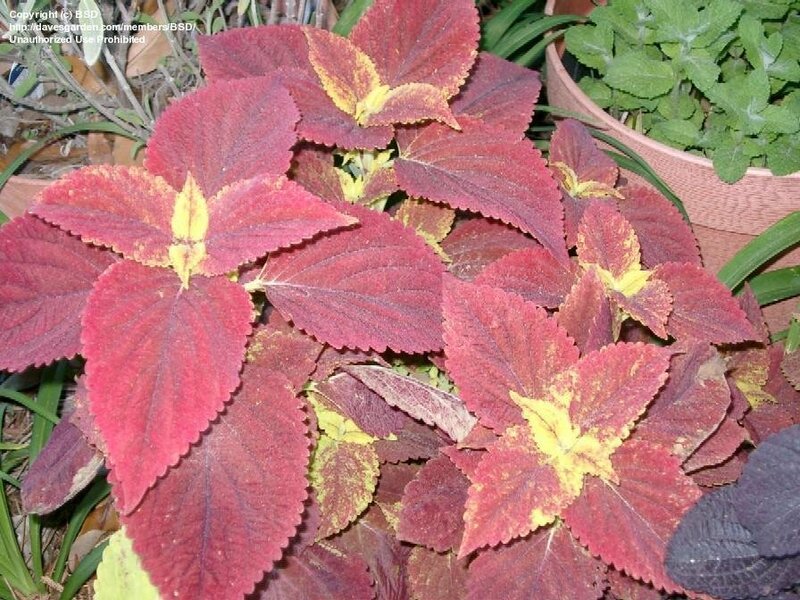 Coleus 'Alabama Sunset' has different coloration depending upon the amount of light it receives. 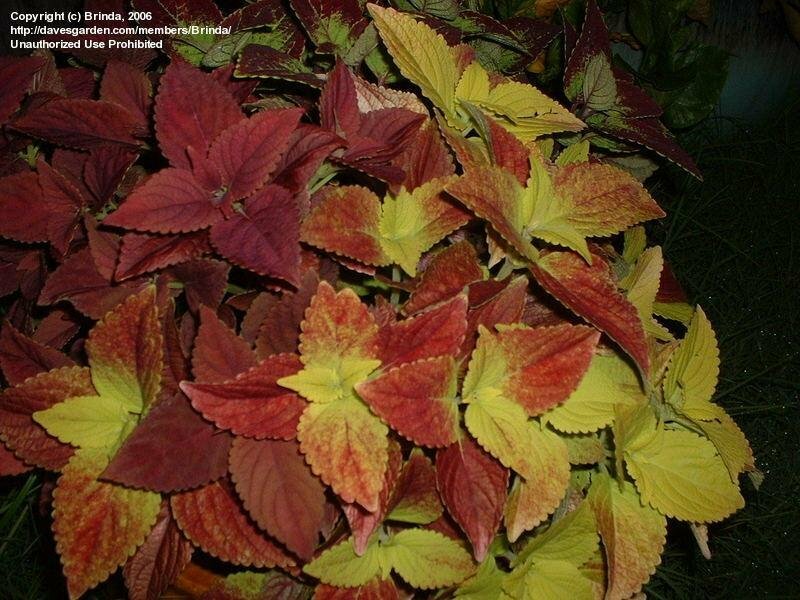 This one does not receive a lot of sunlight. 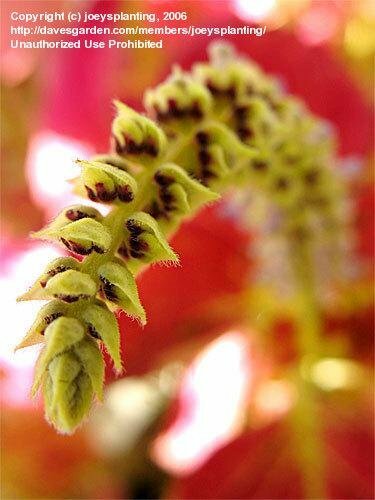 a pinched off flower spike from my overwintering plant.